Newly-appointed Head of Ranby House, David Thorpe believes Ranby’s approach to teaching and specifically, ‘Growth Mindset’ is what helps create confident, happy and successful learners. Year 4 pupil, Joseph, started at Ranby House at the beginning of September and since then has ‘grown in confidence’, says his mum, Marion. She continued: “He comes home so excited about everything he has done that day”. 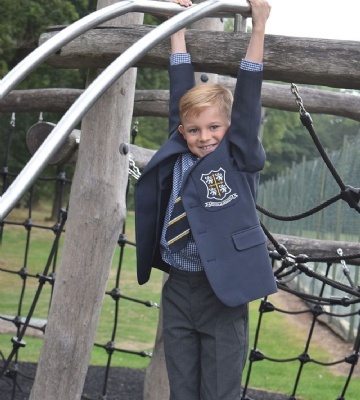 With small class sizes, specialist teachers and a host of extra-curricular opportunities, Ranby House’s curriculum is based around ‘Growth Mindset’. A growth mindset focuses on the process, the strategy, the amount of effort and choices instead (i.e. this piece of writing is much stronger than your last piece as I can see you have worked hard to improve your use of verbs and adjectives from the last piece). With a growth mindset approach to learning, children start taking greater risks. This is encouraged and, in turn, leads them to ‘fail successfully’ more often – developing a ‘bounce-back’ ability and ultimately driving them to better themselves. Couple that with the fact that our students do not sit SATs, means that more time is spent measuring each child as a whole.